this explains everything | Blah! In a series of books, one each year, John Brockman asks the contributors and members of Edge.org a question. The goal is to foster exchange, to provoke thinking, and to stir debate. I thought I’d give my own answers to each question. For me, it has to be Maxwell’s equations. When I was an undergrad physics major, struggling with some of the concepts in classical mechanics, it was really electromagnetism that struck me as both deep and elegant. Here is a set of four equations that not only link electricity and magnetism, but provide an immense and rich physical world that simply falls out of the equations. This includes the fact that electromagnetic waves can propagate in space. This understanding was the foundation from which Albert Einstein, who started with Maxwell’s equations, developed the special theory of relativity, which postulates that light travels at a constant speed, always. 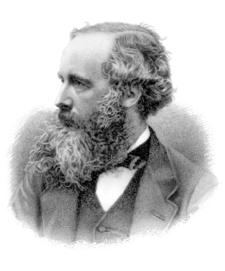 Developed by James Clerk Maxwell, who was inspired by, amongst others, Michael Faraday, one of the greatest experimental physicists ever, Maxwell’s equations embody, to me, the beauty of physics. 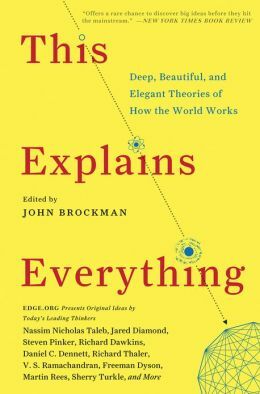 A concise set of equations that encapsulate a model of reality that both explains a vast amount of experimental observations but also provide profound insight into the nature of the universe and predict new phenomena that simply was not even dreamt of before. I don’t necessarily believe that all of physics and the physical sciences can be summarized and encapsulated into such nice and tidy equations. But, for those instances where it can, the power, beauty, and understanding provided by such a description is immense (all of our modern technology is essentially enabled by the understanding that Maxwell’s equations embody). 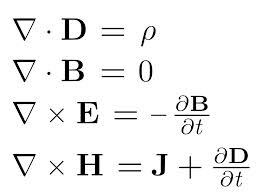 Maxwell’s equations are one of the pinnacles of physics and, to me, essentially define an elegant and beautiful explanation.